All participants are required to submit a waiver prior to participating. Failure to do so could result in denied access to the event without notice or refund. 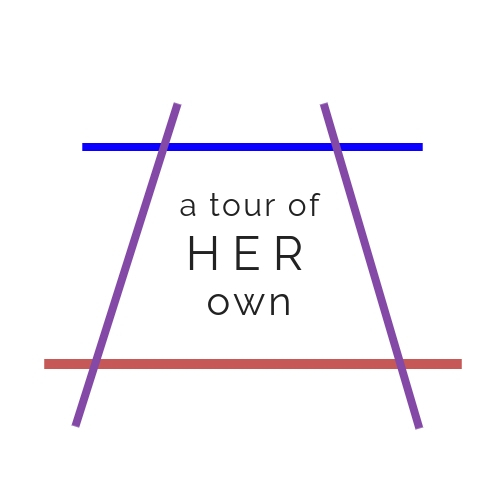 Any rejections may be submitted in writing to info@atourofherown.com. READ CAREFULLY - THIS AFFECTS YOUR LEGAL RIGHTS In exchange for participation in the activity of tourism included but not limited to active wellness training and historical tours organized by A Tour Of Her Own (“TOHO”), Washington, District of Columbia, 20011 and/or use of the property, facilities and services of A Tour Of Her Own, I agree for myself and (if applicable) for the members of my family or group, to the following: 1. AGREEMENT TO FOLLOW DIRECTIONS. I agree to observe and obey all posted rules and warnings, and further agree to follow any oral instructions or directions given by A Tour Of Her Own, or the employees, representatives or agents of A Tour Of Her Own. 2. ASSUMPTION OF THE RISKS AND RELEASE. I recognize that there are certain inherent risks associated with the above described activity and I assume full responsibility for personal injury to myself and (if applicable) my family members, and further release and discharge A Tour Of Her Own for injury, loss or damage arising out of my or my family's use of or presence upon the facilities of A Tour Of Her Own, whether caused by the fault of myself, my family, A Tour Of Her Own or other third parties. 3. INDEMNIFICATION. I agree to indemnify and defend A Tour Of Her Own against all claims, causes of action, damages, judgments, costs or expenses, including attorney fees and other litigation costs, which may in any way arise from my or my family's use of or presence upon the facilities of A Tour Of Her Own. 4. FEES. I agree to pay for all damages to the facilities of A Tour Of Her Own caused by any negligent, reckless, or willful actions by me or my family. 5. CONSENT. I consent to the involvement of all adult participants registered and also all minors who are under the age of 18, in the activity of active wellness training and walking tours, and I agree on behalf of the mentioned participants to all of the terms and conditions of this Agreement. By accepting this Release of Liability, I represent that I have legal authority over and custody of all registered participants. 6. MEDICAL AUTHORIZATION. In the event of an injury to the above mentioned participants, adults and minor, during the above described activities, I give my permission to A Tour Of Her Own or to the employees, representatives or agents of A Tour Of Her Own to arrange for all necessary medical treatment for which I shall be financially responsible. This temporary authority will begin on the date of initial registration with a TOHO service and will remain in effect until terminated in writing by the undersigned. A Tour Of Her Own shall have the following powers: a. The power to seek appropriate medical treatment or attention on behalf of me and the minors I have registered as may be required by the circumstances, including without limitation, that of a licensed medical physician and/or a hospital; b. The power to authorize medical treatment or medical procedures in an emergency situation; and c.	The power to make appropriate decisions regarding clothing, bodily nourishment and shelter. 7. APPLICABLE LAW. Any legal or equitable claim that may arise from participation in the above shall be resolved under District of Columbia law. 8. NO DURESS. I agree and acknowledge that I am under no pressure or duress to electronically consenting to this Agreement and that I have been given a reasonable opportunity to review it before signing. I further agree and acknowledge that I am free to have my own legal counsel review this Agreement if I so desire. I further agree and acknowledge the refund policy of A Tour Of Her Own and that participation may be denied without proper consent to this Agreement. 9. ARM'S LENGTH AGREEMENT. This Agreement and each of its terms are the product of an arm's length negotiation between the Parties. In the event any ambiguity is found to exist in the interpretation of this Agreement, or any of its provisions, the Parties, and each of them, explicitly reject the application of any legal or equitable rule of interpretation which would lead to a construction either "for" or "against" a particular party based upon their status as the drafter of a specific term, language, or provision giving rise to such ambiguity. 10. ENFORCEABILITY. The invalidity or unenforceability of any provision of this Agreement, whether standing alone or as applied to a particular occurrence or circumstance, shall not affect the validity or enforceability of any other provision of this Agreement or of any other applications of such provision, as the case may be, and such invalid or unenforceable provision shall be deemed not to be a part of this Agreement. 11. DISPUTE RESOLUTION. The parties will attempt to resolve any dispute arising out of or relating to this Agreement through friendly negotiations amongst the parties. If the matter is not resolved by negotiation, the parties will resolve the dispute using the below Alternative Dispute Resolution (ADR) procedure. Any controversies or disputes arising out of or relating to this Agreement will be submitted to mediation in accordance with any statutory rules of mediation. If mediation does not successfully resolve the dispute, then the parties may proceed to seek an alternative form of resolution in accordance with any other rights and remedies afforded to them by law. 12. EMERGENCY CONTACT. I agree to inform in a representative of A Tour Of Her Own in writing of any medical conditions that could potentially be at risk during TOHO services. Participants can submit emergency contact information for TOHO representatives to access but TOHO does not accept any liability in case of an emergency situation. 13. Video/Photo - TOHO reserves the right to take and use photographs/video without expressed written permission of those included within the photographs/video. TOHO may use the photograph/video in publications or other media material produced, for educational, promotional, marketing or other purposes, including but not limited to: brochures, invitations, books, newspapers, magazines, television, websites, etc. A person who does not wish to have their image recorded for distribution should make their wishes known by contacting TOHO in writing of his/her wishes and include a photograph within a reasonable amount of time prior to the event. TOHO will use the photograph for identification purposes and will hold it in confidence. By participating in a TOHO event or by failing to notify TOHO in writing, your desire to not have your image used by TOHO, you are agreeing to release, defend, hold harmless and indemnify TOHO from any and all claims involving the use of your photograph or likeness. I HAVE READ THIS DOCUMENT AND UNDERSTAND IT. I FURTHER UNDERSTAND THAT BY AGREEING TO THIS RELEASE, I VOLUNTARILY SURRENDER CERTAIN LEGAL RIGHTS.